Order Code: OV-RF320. Categories: Reflow Ovens, SMT Prototyping Products. Tags: Programmable Reflow Oven, SMT Reflow Oven. Surface mounting of units on circuit boards require the exposure of the device package to high temperature to melt the lead finish for board soldering. A lot of the alternative “lead-free” solder materials being considered for use in IC assembly today require a peak soldering temperature of about 250 to 260 deg C, versus the peak temperature of 230 to 235 deg C for Sn-Pb solder. This means that lead-free IC’s will need a higher temperature for board mounting, and will therefore be subjected to more severe thermo-mechanical stresses during the process. This Oven features a complete system for today’s solder/ Pb-Free solder(260C) requirement. The computer control system allows for a free programable temperature curve. High power heating element with force air heating method provide a very even soldiering hot zone across the total soldiering area, This cost effective unit offers a high production count ( 4~5 mins per cycle of 300mm x 220mm board) which ideal for low to medium size of SMD production. The static soldering process offers very stable non moving especially important for fine pitch SMD soldering. Infrared Array + Force Air ( high volume, low pressure ) Heating Method. Free programmable control for temperature curve setting. Internal cooling fan for fast Cool down performance. 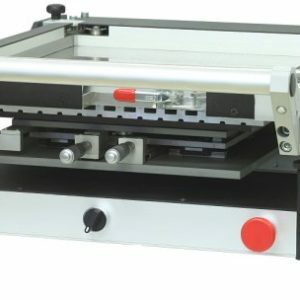 Fully Automatic, fully static ( non moving rail) operation, single or double side board soldering. 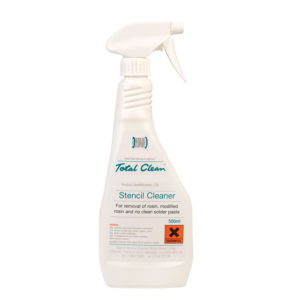 Internal complete high gloss stainless steel construction, high IR efficiency and easy to clean, maintenance. Ball bearing Rail draw system for stable solider board exchange with minimum vibration. 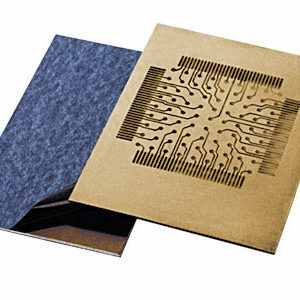 Optional PCB tray for quick exchange between the board process. Top Open design for quick access to heating element and service. Dual channel air circulation. For fast cool down process. 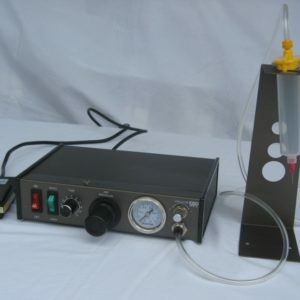 Interchangeable tray for continuous process. Maximum Power consumption: 3.5kW, 1kW Typ.